On 28 November 2018, more than 300 guests and 12 exhibitors from the industry met in Ingolstadt for the 21st Cooperation Forum Automotive Wire Harness. Decision-makers from leading automobile manufacturers and suppliers, including Audi, Leoni Bordnetz-Syteme, Kromberg & Schubert, Dräxlmaier, BMW, MD Elektronik, ASAP Engineering and Schleuniger, reported on developments and challenges in the development of electrical wiring systems in vehicles. They discussed the competencies that OEM’s and their suppliers have to build up in order to implement the megatrends electro mobility, automated driving and digitization in vehicles. The main focus was on development processes, simulations, testing and requirements for wiring systems that have to be met. 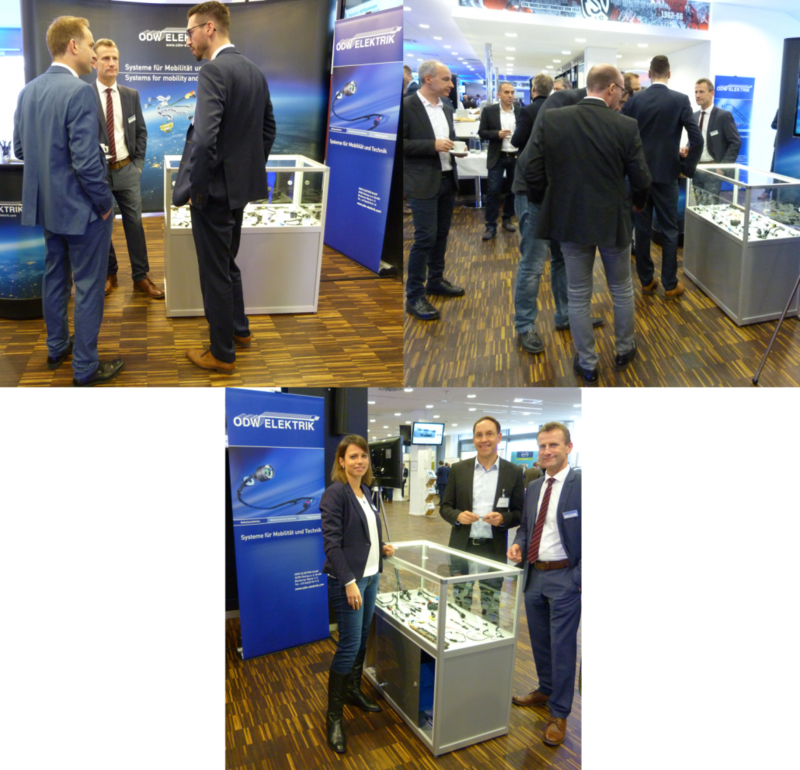 ODW-ELEKTRIK GmbH was one of 12 exhibitors who took part in the well-attended event. With a total of 320 visitors, there were extensive opportunities for networking and exchange, which we used extensively. For the second time this year, we were represented with a stand at an event in the field of electrical wire systems in vehicles, and we were able to further increase our level of awareness.